The Navy Midshipmen football team will maintain a national television presence for its home games for the next decade, thanks to a 10-year extension with CBS Sports Network. Terms of the deal weren’t announced; per news releases issued by Navy Athletics and the network, it covers the “majority” of Navy’s home games. A separate deal already on the books puts every Army West Point home game on the network until 2022. 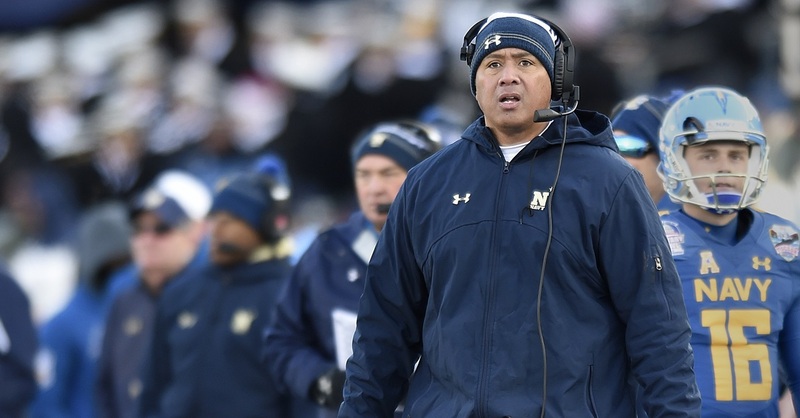 The deal doesn’t change the Army-Navy broadcast, which remains on CBS-TV. It also doesn’t mean service academy football fans can rip the buttons off their remote controls: Away and neutral-site games air all over the dial and on various streaming services. Air Force games in 2017, for instance, aired on three ESPN platforms, the Big Ten Network, CBS Sports and a regional cable channel. The network also will air select home basketball, baseball and lacrosse games. CBS Sports Network already airs a handful of non-football academy contests, including the first game of a March 25 Army-Navy doubleheader at Baltimore’s Camden Yards (the Black Knights swept the twinbill). Navy opens its 2018 season in Hawaii. CBS Sports Network will air it live at 11 p.m. Eastern on Sept. 1.